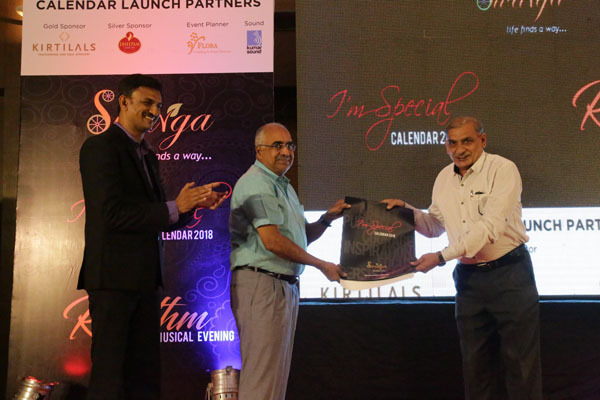 “I’m Special – 2018” is the third edition of the calendar that was successfully launched in 2017. 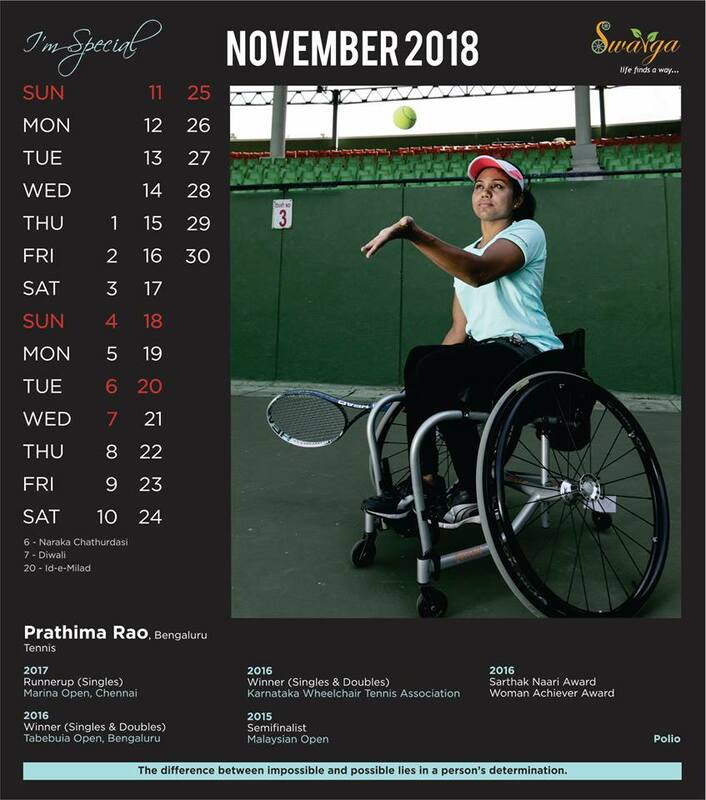 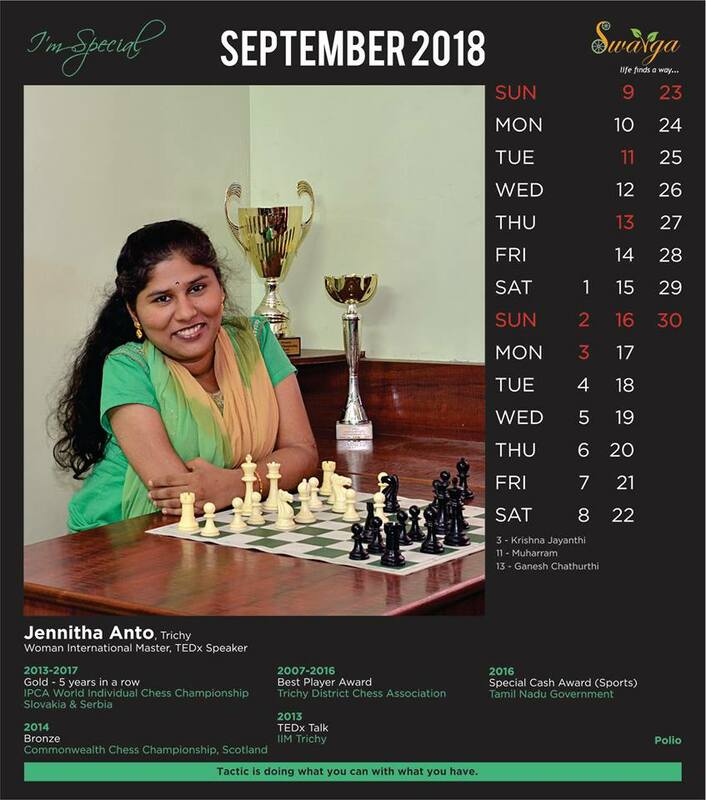 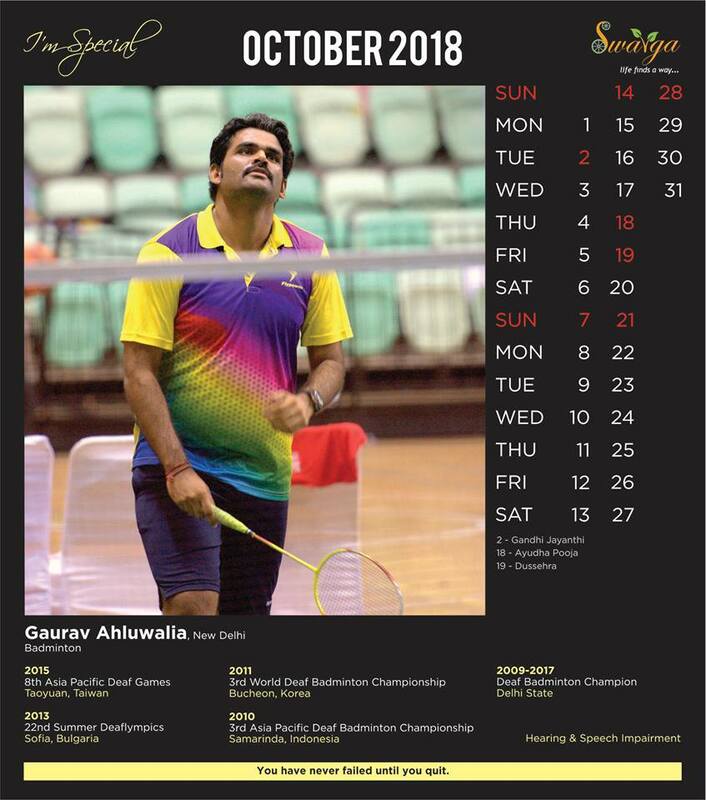 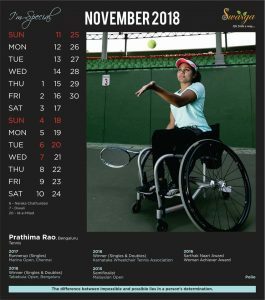 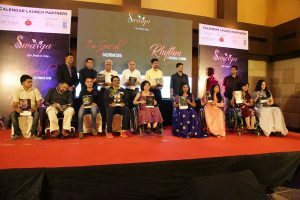 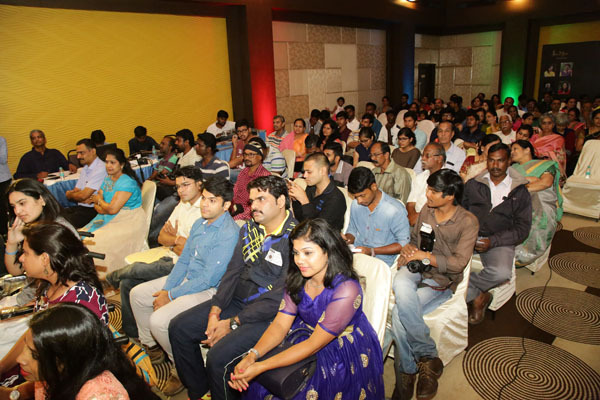 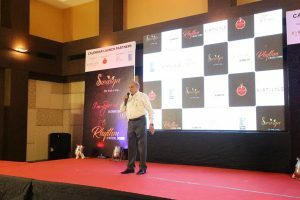 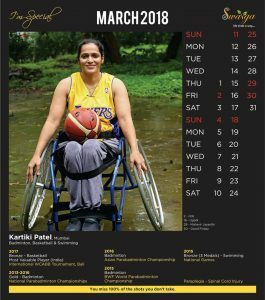 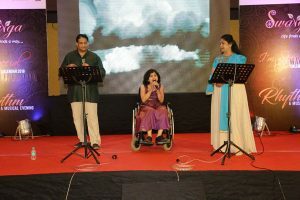 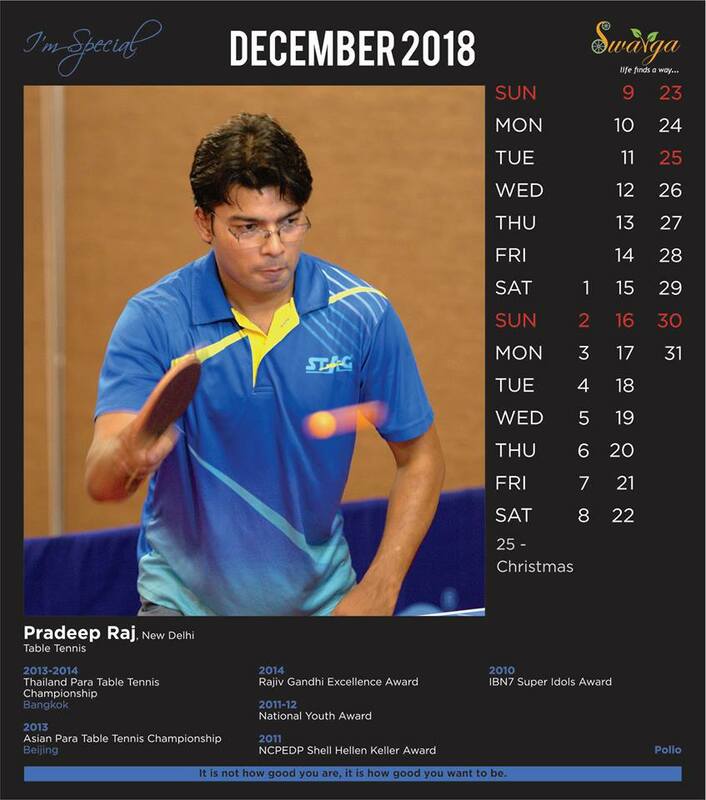 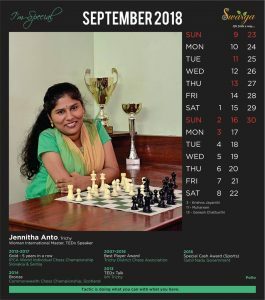 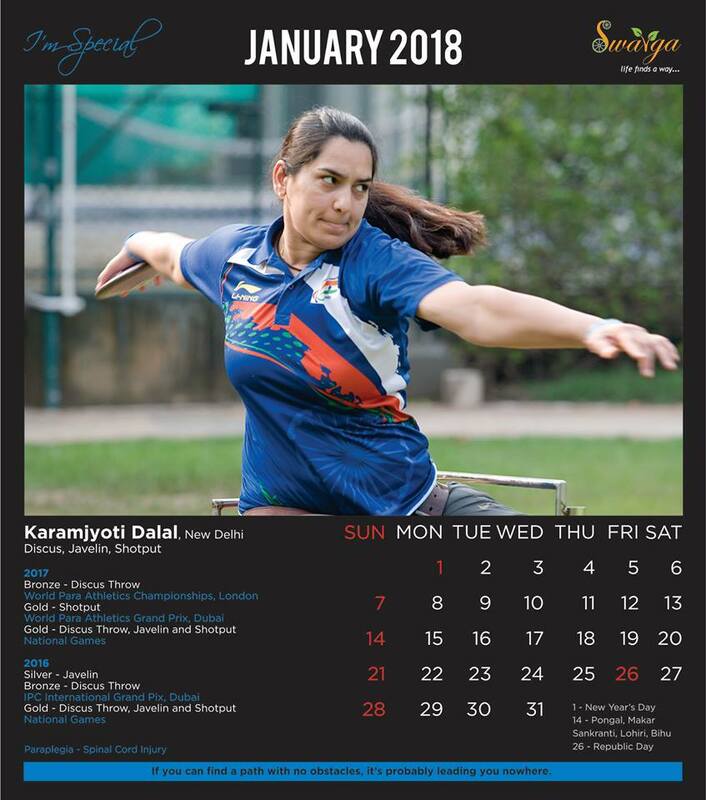 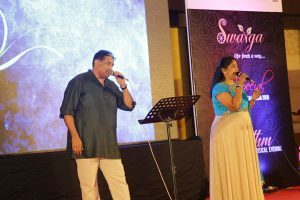 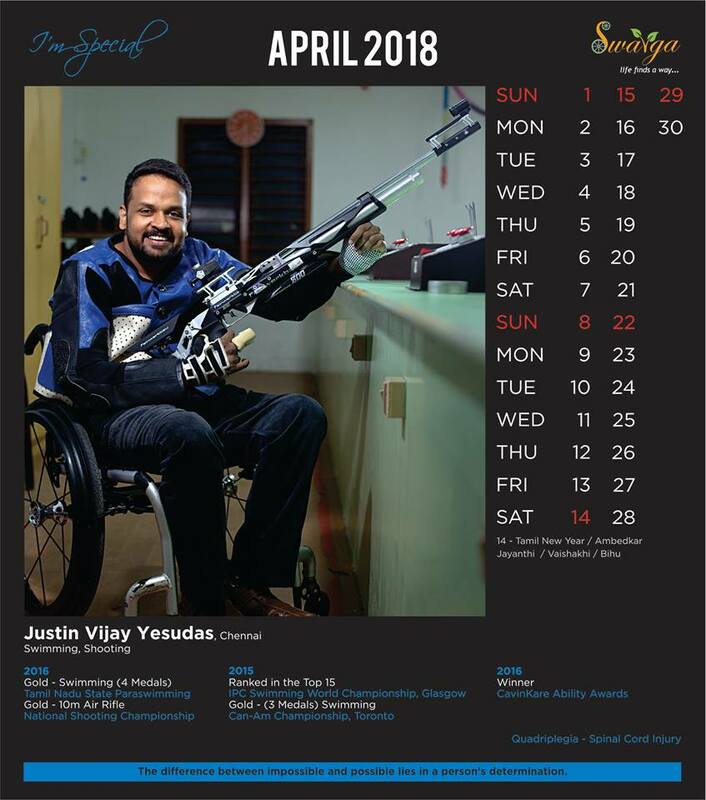 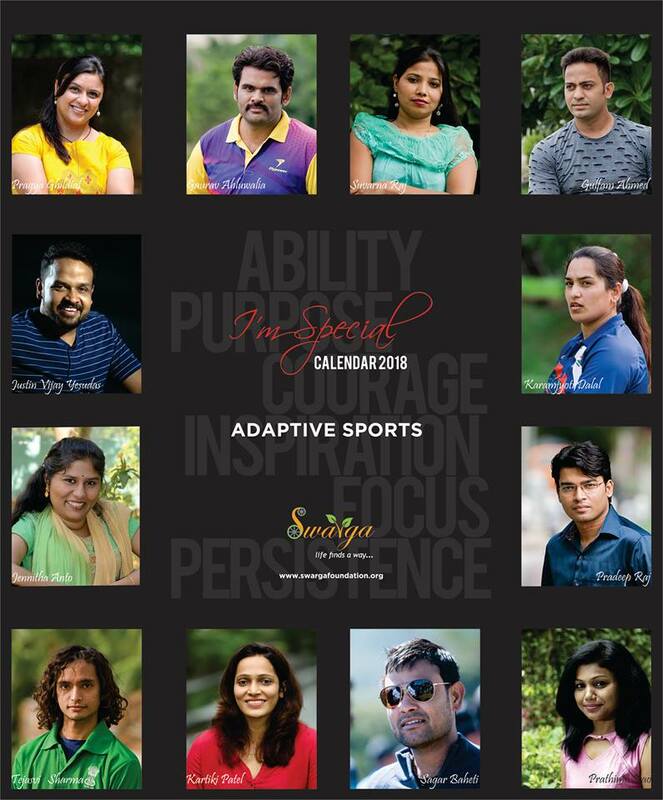 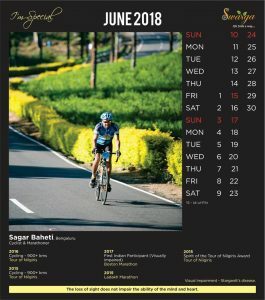 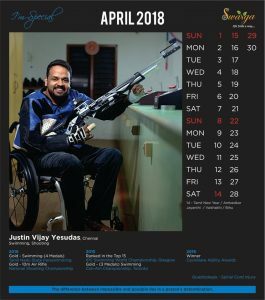 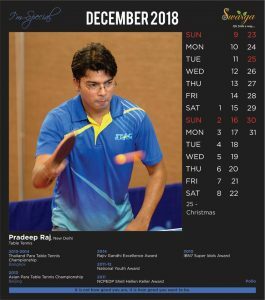 The 2018 edition showcasing 12 proficient sportspersons across India who have won accolades at both national and international events, with the theme being, “ADAPTIVE SPORTS” (6 male and 6 female affected with neurological diseases) hailing from various parts of India who have achieved significantly irrespective of their complex disabilities. 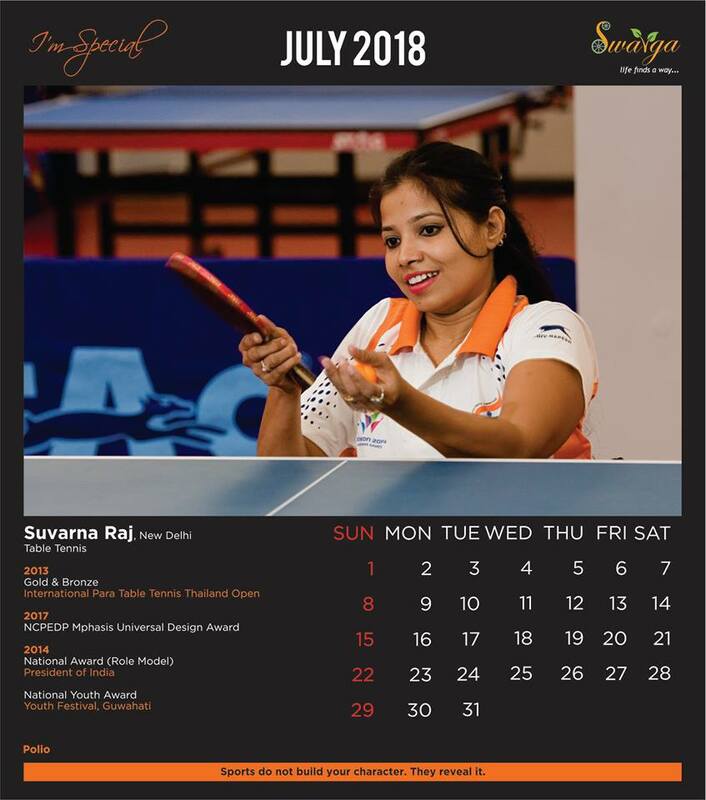 Two versions of the calendar: wall hanging and desktop versions were released. Both versions of the calendar have been designed to incorporate corporate logos as required. 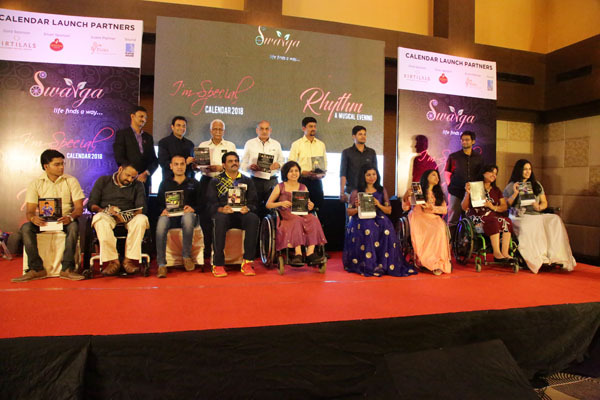 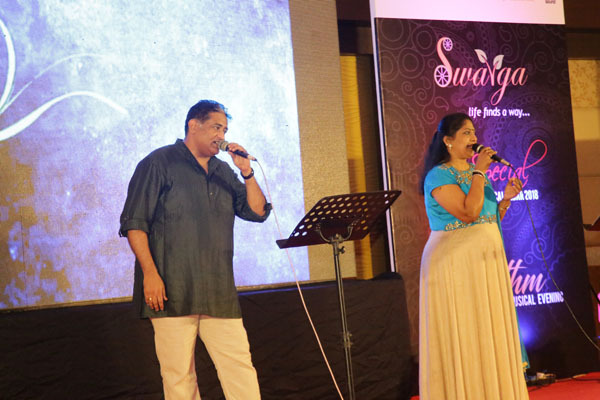 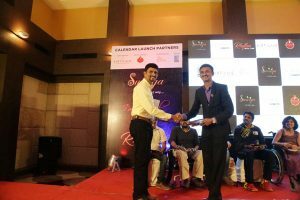 The Calendar was conceptualized and designed in-house by the differently-abled. 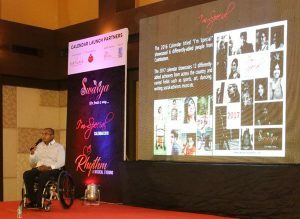 A video featuring all these models was also launched for online media promotion. All proceeds from the sales of the calendars will be used for ongoing projects. 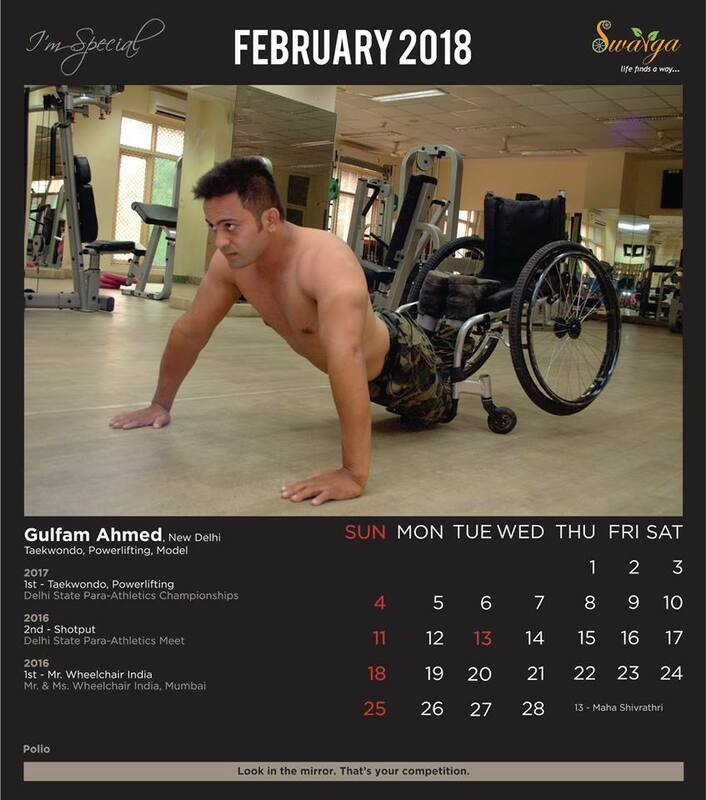 The purpose of the Calendar is to generate respect for people with Special needs.